Thanks for taking the time to make a difference in the lives of young children! 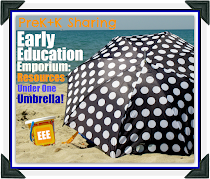 I am Carissa Knoles, an Early Childhood Music Specialist, with a BGS in Children and Families from the University of Michigan and over 5 years experience teaching in accredited Early Childhood programs in Southeastern Michigan as well. 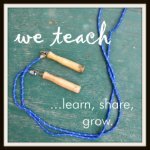 As both a musician and Early Childhood Professional, you can imaging how “deep” my pockets are, so to speak, and that is why I would like to share with you a wide variety of handmade instruments you can make with young children, for young children and even just for fun! According to a study titled “Recreational Music-Making Modulates the Human Stress Response: A Preliminary Individualized Gene Expression Strategy,” (Medical Science Monitor 11 (2005) :31-40) making music resulted in the reduction of stress related hormones. 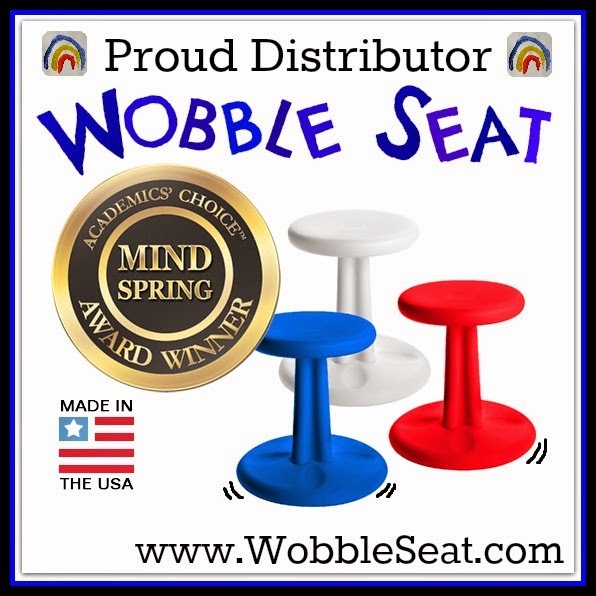 When compared to other forms of relaxation such as reading, listening to music, or meditating actively creating music with instruments and/or vocals reduced stress hormones 3 times more! In my music and movement sessions, I work to assess children’s interests and incorporate in my songwriting. One such observation involved children’s love for the Angry Birds games! As technology takes over, I owe it to young children to embrace it and even write a song about it! 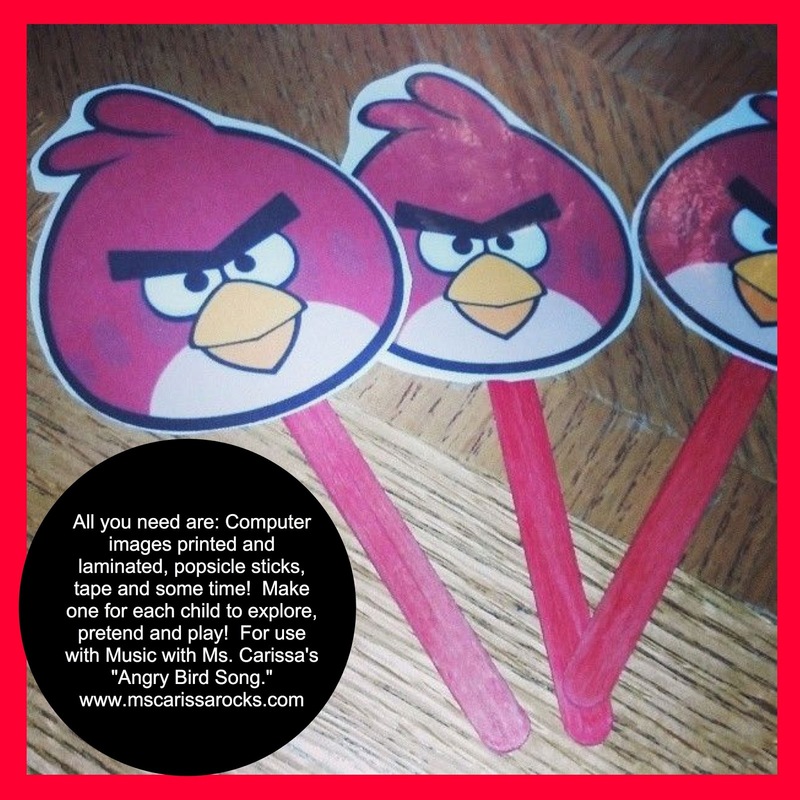 I created these angry bird puppets to use with a silly song I wrote about why the angry birds are so angry, someday to be recorded on my second full length album. I found computer images for free online, printed and laminated them and finally glued the image to popsicle sticks to create a puppet. 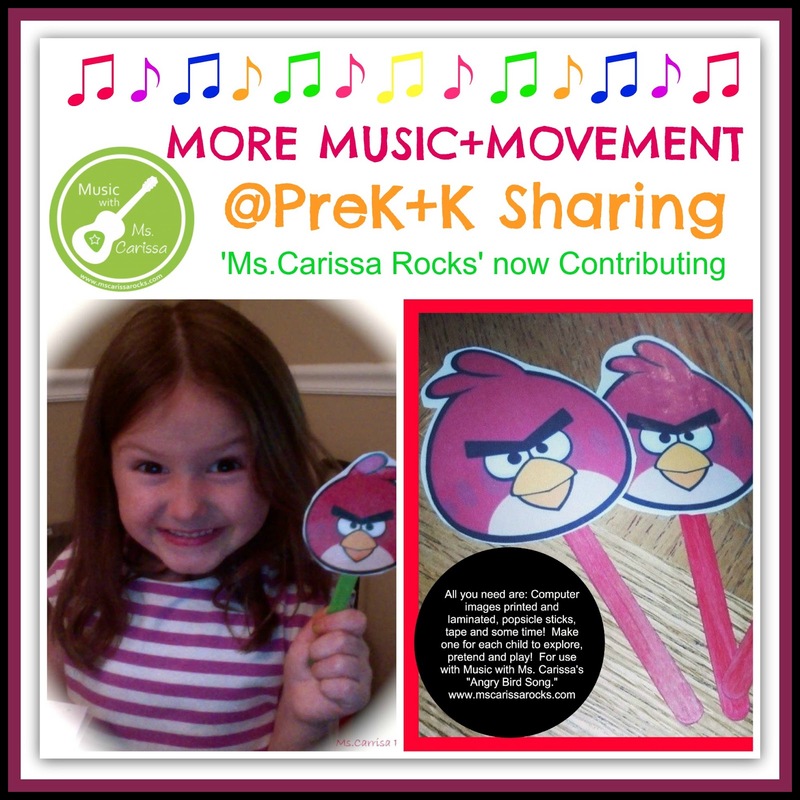 In addition to flying around these angry birdies while I play my original tune in classrooms, concert halls and libraries around the US I would like to share an even easier way to engage children by incorporating their interests while also achieving our educational special objectives. 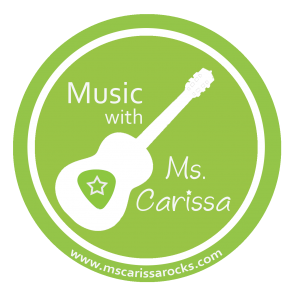 Chant the following to the tune of “If You’re Happy and You Know it…” and keep an eye on my website mscarissarocks for an upcoming video of this activity! “An angry bird is sitting on my head. An angry bird is sitting on my head. He is sitting on my head. He is sitting on my head. An angry bird is sitting on my head.” Then replace the word head with shoulder, back, belly, knee, etc… What a fun way to identify body parts! 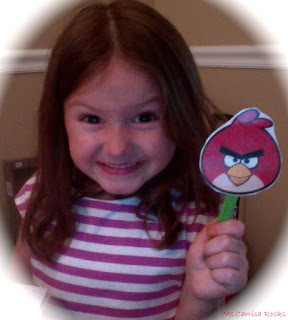 Encourage children to shout out their own ideas of where the angry bird can sit. As you reach the end of this activity, try “An angry bird is dancing all around!” for some additional gross motor fun! Participating in this large group activity provides children opportunities to build vocabulary as they identify body parts aloud as well as practicing following multi-step directions. Have fun flying your angry birds! Have a day that rocks!